It’s no secret that this week’s battle over SOPA and PIPA has been one of historic proportions. Seldom, if ever, are we privileged to behold such a united voice among big-name companies and individual citizens as the voice that expressed its unequivocal opposition to the controversial anti-piracy legislation. And despite the best efforts of the powerful recording industry lobbyists who forged these bills while filling the campaign coffers of its sponsors with generous cash donations, their small but well-funded vendetta against a free and open Internet was soundly defeated by the overwhelming force of democracy. Even as I write this piece, the resounding chants of victory can be witnessed across the countless outlets available in an Internet that is free of the draconian legislation that leads to censorship, stifled creativity and general apathy. In light of recent events, I have decided to postpone Tuesday’s vote on the Protect IP Act. There is no reason that the legitimate issues raised by many about this bill cannot be resolved. Counterfeiting and piracy cost the American economy billions of dollars and thousands of jobs each year, with the movie industry alone supporting over 2.2 million jobs. We must take action to stop these illegal practices. We live in a country where people rightfully expect to be compensated for a day’s work, whether that person is a miner in the high desert of Nevada, an independent band in New York City, or a union worker on the back lots of a California movie studio. I admire the work that Chairman Leahy has put into this bill. I encourage him to continue engaging with all stakeholders to forge a balance between protecting American’s intellectual property, and maintaining openness and innovation on the internet. We made good progress through the discussion we’ve held in recent days, and I’m optimistic that we can reach a compromise in coming weeks. Ah, the c-word. Not that c-word. But rather the word that partisans hate, the term that has become so victimized by extreme rhetoric that it has been equated to spinelessness. That word, of course, is compromise. However, unlike those who denounce such a term, I believe compromise to be the byproduct of pragmatism and that pragmatism is what keeps a society looking forward instead of letting itself become ensnared by every nook and cranny that lines the road that lies before every democratic society. Though I may personally espouse (as I’ve shown in other posts) the current system of protecting copyrighted materials as it is executed under the Digital Millennium Copyright Act (DMCA), I am willing to accept that some steps must be taken to appease the exaggerated concerns of those who claim that the current legal framework still results in the loss of $200-$250 billion per year and an additional 750,000 American jobs. The numbers seem truly dire: a $250 billion per year loss would be almost $800 for every man, woman, and child in America. And 750,000 jobs—that’s twice the number of those employed in the entire motion picture industry in 2010. And despite a US Government Accountability Office report concluding that “no single method can be used to develop estimates” that accurately quantify losses from counterfeit and pirated goods and that “it is difficult, if not impossible, to quantify economy-wide impacts,” such bloated yet undoubtedly shocking figures continue to be peddled in order to gather support for a pair of bills that seem destined for a slow, grueling death. Instead of making efforts to start the legislative process over or get behind the more transparent process that brought about the more tolerable Online Protection and Enforcement of Digital Trade (or OPEN) Act, SOPA/PIPA supporters are destined to follow these bills to their respective graves. But the choice by lawmakers to continue down this treacherous path isn’t so much one of conviction as it is of financial necessity. 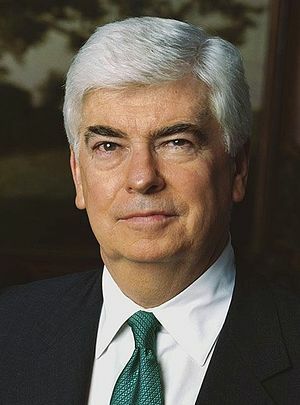 Reacting to the demoralizing abandonment of both bills by lawmakers on Capitol Hill in the past couple days, former Senator Chris Dodd—now Hollywood’s go-to lobbyist as the CEO of the Motion Picture Association of America (MPAA)—told Fox News on Friday that recipients of Hollywood campaign funding, including President Obama, should tread carefully. Leaving the blatant conflict of interests wrought by the revolving door between Washington and corporate America for another post, such thinly veiled threats by the former Senator highlight both the disproportionate influence that moneyed interests have in the legislative process and the financial devastation that awaits lawmakers who oppose the self-serving legislation that their respective lobbyists craft. In other words, the Supreme Court’s decision in Citizens United v. FEC didn’t simply equate corporations to people and money to speech. Instead, it opened the door for these already powerful businesses to become super-people, with an extraordinary form of speech that, despite coming from a small, elite segment of the American population, has the ability to match and even drown out the unmistakable, reverberating will of the people.